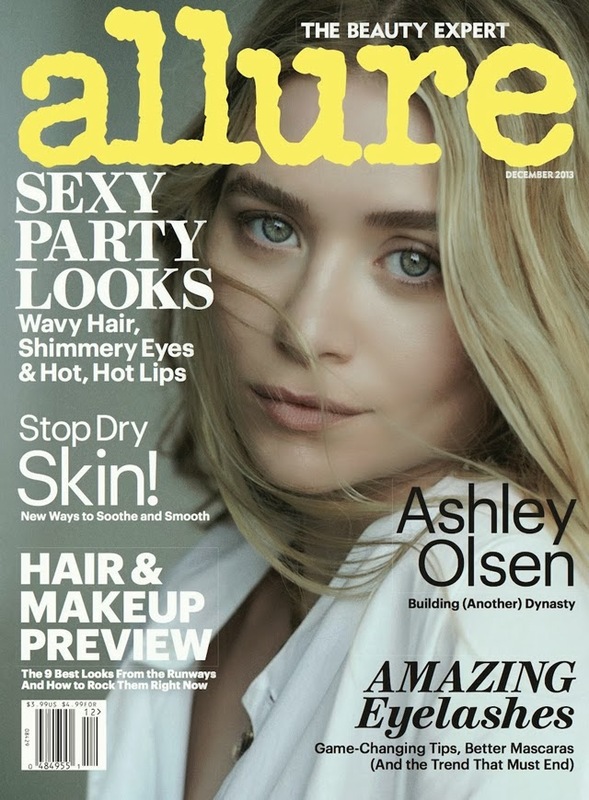 Is anyone else looking at these Allure covers featuring the Olsen Twins and wondering where they stole their Cara Delevingne-like eyebrows from? Holy heavens, those have to be some of the most covetable brows in the business and they certainly don't help in doing anything to tell the two apart. When it comes to brow growth, the Olsen Twins have both won the hair follicle jackpot. The "Amazing Eyelashes" should be replaced with "amazing brows," as at his point who cares about the lashes? Yes, we're all clearly obsessed. Now, down to the covers themselves... we love the natural look for both girls. These are covers that are relaxed and easy for the general public to buy into. The Olsen twins may seem the furthest thing form the "girl next door," but they're certainly giving off that vibe for this set of covers. Note: This is not the Olsen's first cover appearance this year. Just a few weeks ago, both Mary Kate and Ashley covered Net-a-Porter's The Edit.